I found this on the web , I have never seen anything like it . 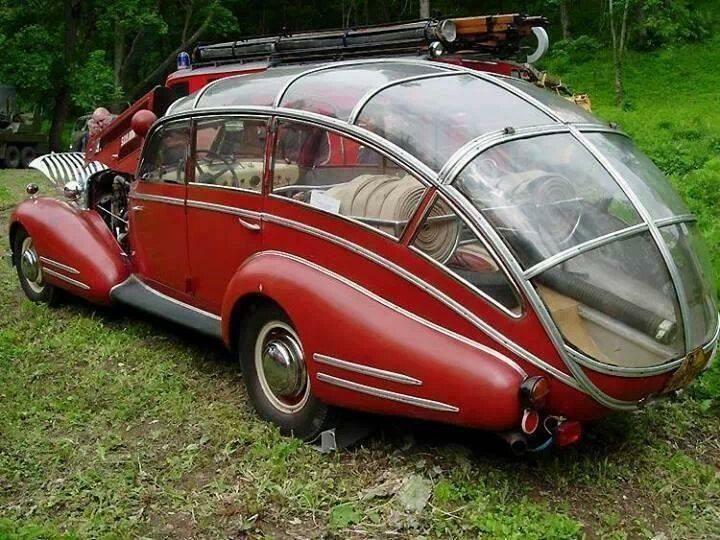 So I figured would share it for others to see .Listed as "1941 Horch 853, rebodied as a fire appliance shortly after WWII"
Wow. I'm impressed. That is quite a piece of work. What would be the purpose of all the glass? Looks like it was quite a job to build. That is quite an eye catcher. Seeing that in your rear view mirror would be just the thing to get you to pull over and then go 'what the %&$*# was that?' Looks to be in very decent shape too. I'll take one. My first thought was that it was meant for a big city, allowing the firefighters to see the tall buildings. That said, it would also be great for sight-seeing in the mountains, so it's also quite possible that it was used in the European mountains to spot forest fires. Except for it having several rolls of hose and what appears to be a short piece of hard suction line in the back, I don't get the connection of this vehicle to fire service ... other than it being painted red, of course. It was probably meant for the use of the "big chief" and his "secretary" so that they could observe high rise building fire fighting in comfort. There are probably some cup holders and a cooler located somewhere in this fine piece of fire-fighting apparatus. It looks like a vehicle the pope or a signatory drove in ! Something you could see out of and in to ! It may have been built as a funeral car and converted? Paint it black and put a coffin in it! What a way to go! BRNO - Brno is the second largest city in the Czech Republic - 400,000 plus! Real sweet ride! 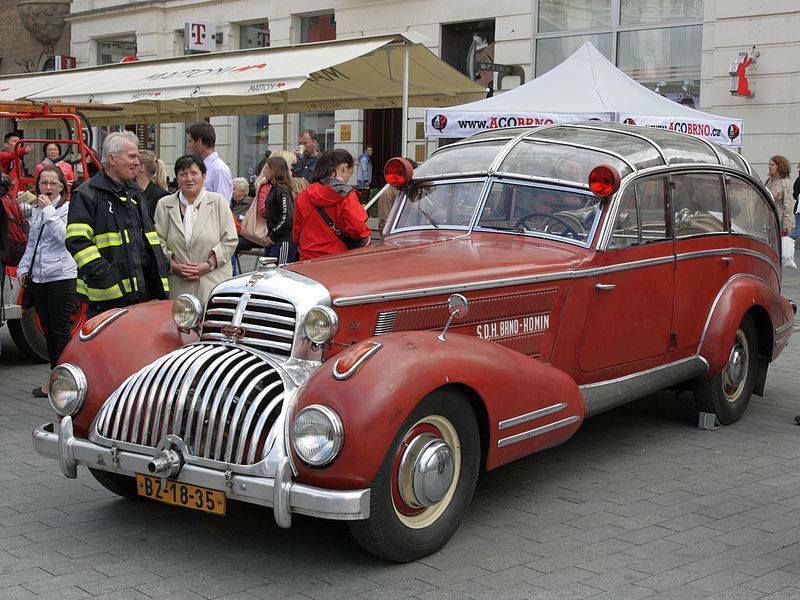 My guess is, it was in use as an official limousine by the city or other government agency, and was repurposed as a fire appliance right after the war when it was about 5 years old. 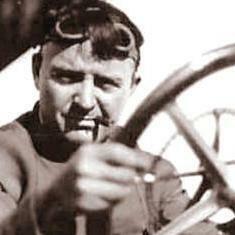 At that time there was a shortage of cars and trucks, many prewar cars were rebuilt and rebodied at that time. 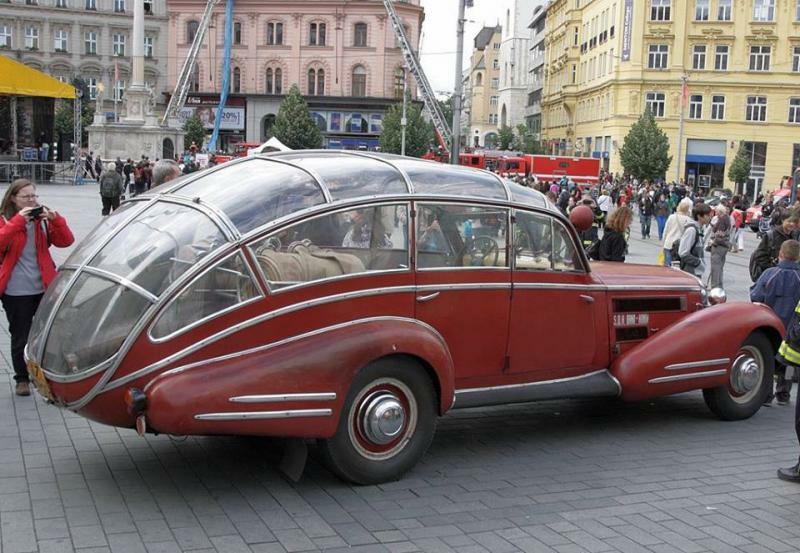 A heavy, powerful car like a Horch would have been of very little use or value, but might have been just what the fire department needed, if it was suitably rebuilt. The glass is no doubt plexiglass. This material was used for airplane canopies and the like during WW2. 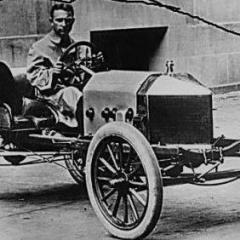 The car was probably converted right after the war, using war surplus materials and possibly built as a reconversion project in an aircraft plant.